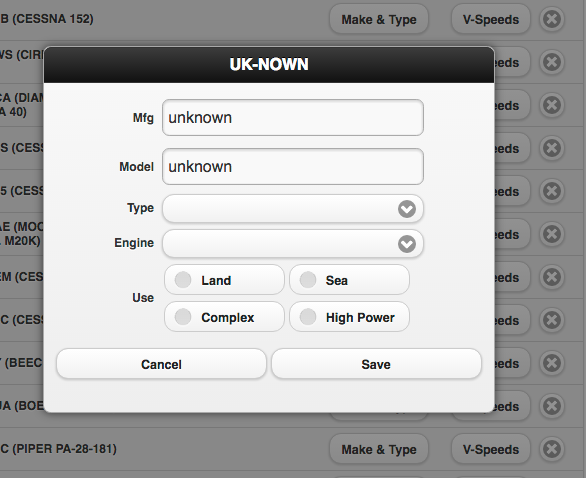 Is there any way to edit aircraft that have been automatically completed? I have an aircraft that has been corrected to a leerjet, when I am trying to enter a glider. All fields are greyed out. If a tail number is identified in a registry, we currently do not allow its editing. But please contact us at info@CloudAhoy.com, and send us a link to the flight with that tail number.